Fixed a blank text in the english string file of the new version. Added Portuguese and Spanish Translations. This mod was originally made by r3m, since the original creator is offline for a long time, I decided to make an update. 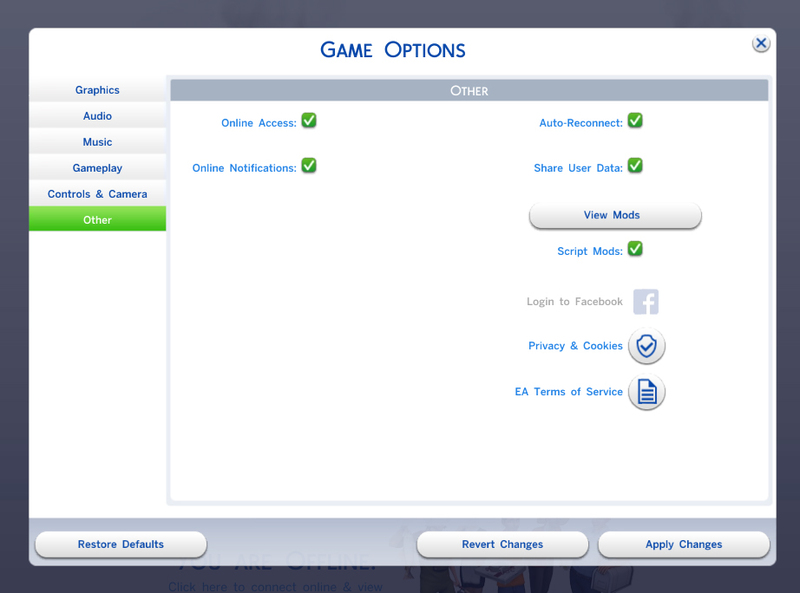 I tended to like this aspiration as many others around the sim community and it's time to start using it again. Special thanks to the original creator, without you, this mod wouldn't exist. I hope someday, wherever you are, you can return to the community. You can check it out, if you didn't know about its existence. The continuation of this post is the original description, later it will be explained other details. Pick a Sim and aliens will come to abduct them inmediately. Now it is time for the new details. Original Version: This contains the original mod as the creator made it. No changes, it was only fixed to work with the recent updates of the game. All mixer socials and Transmute interactions don't override sources anymore, they work by themselves (except The Secret Handshake due to global functions with it). Sim Gurus will increase a little faster logic. charisma, handiness and Rocket Science, but not at alien level. They only have influences from them. Some texts fixed, they were blank. Many functions are now working, the old version had many conflicts between them and they weren't working well. They had bad codes in many loot actions, whitelist and blacklist tests, now they are working as it is intended to by the original creator. Alien Guru trait had bad function on Brain Alien Power, now it's fixed. 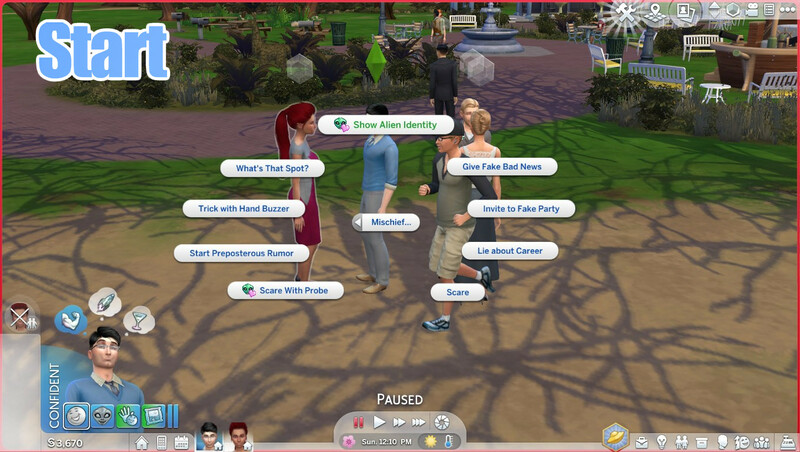 No more crash in CAS when selecting the aspiration if you have more than 5 aspirations in the knowledge category due to EA fixed that in the recent updates (I don't know exactly which one). Update Bad Reputation to Summon Aliens Interaction. New Version: This will include the original functions and some new interactions connected to the Alien Guru Reward Trait. Talk About Aliens: Now your Alien Guru Sim can talk about his favorite subject. This will give a happy buff. Teach The Secret Alien Handshake: Your Alien Guru Sim as an expert in the Alien Culture, he can teach how to make The Secret Alien Handshake to other sims. It's under friendly interactions.The Secret Alien Handshake can only be performed between Aliens, Alien Gurus and Sims who know The Secret Alien Hanshake taught by an Alien Guru and they can teach to other sims too. You can expand The Alien Culture! This will increase Charisma Skill and it will give Good Reputation. This will have a new whim for Alien Guru Trait. Tell How to Make Alien Beverages: Your Alien Guru can teach how to make Alien Juice and Space Energy Drink to other sims and they can teach to others too, but they need to have Mixology Skill at level 2 to be taught. It's under friendly interactions. This will increase Charisma Skill and it will give Good Reputation. This will have a new whim for Alien Guru Trait. Show Alien Identity: Now you can "reveal" the identity of a disguised alien. It's under mischief interactions. This will loss relationship, it will give Bad Reputation and it will give a confident buff. If you do this in a public area (not at residential lot), sims around there will react to it. Thanks to ManyWhiTe for Portuguese Translation. Thanks to lilotea for French Translation. Thanks to Riveda and ScorpioSims for German Translation. Thanks to fishvip for Chinese Translation. Any mod that modifies these XMLs. In the original version were more, but now we have new tools and injectors, so we can avoid some. On other hand, it was inevitable for some due to the mechanism of some functions of the mod (especially those who modify some alien behaviours). r3m for the original mod. Hello developer, this is the Chinese Taiwan language file, contains XML and package files. Can you upload it again, but with the chinese stringfile in the package? it's not there and thank you! Because I compiled it back using XML files and bat tools. Hello,this .rar file comes with "Chinese version package", "Chinese XML" and "picture". I cannot find how to make stringfile. but, can you provide it to me? I translate Chinese and send back the package(.rar file). Thank you! I like this mod, many cn players like it, if it can be translated I can help you for a long time. You can upload it here or via inbox. Thank you! А где можно найти твой Ваш перевод? I am wondering the same, he/she never sent to me the translation. I hope someone can send me one, please.